Hot on the heels of his climate deal with China. Germany is teaming up with California to cooperate on tackling climate change following the U.S. government’s decision to withdraw from the 2015 Paris agreement. Europe’s largest economy and the biggest U.S. state in economic terms will back the work of the “Under 2 Coalition,” which includes cities, regional governments and states, German Environment Minister Barbara Hendricks said on Saturday. “We cannot achieve our climate goals without the engagement of local and regional communities. That has become even clearer after the U.S. withdrawal from the Paris climate agreement,” Hendricks said after agreeing on the joint approach with California Governor Edmund Brown in San Francisco. 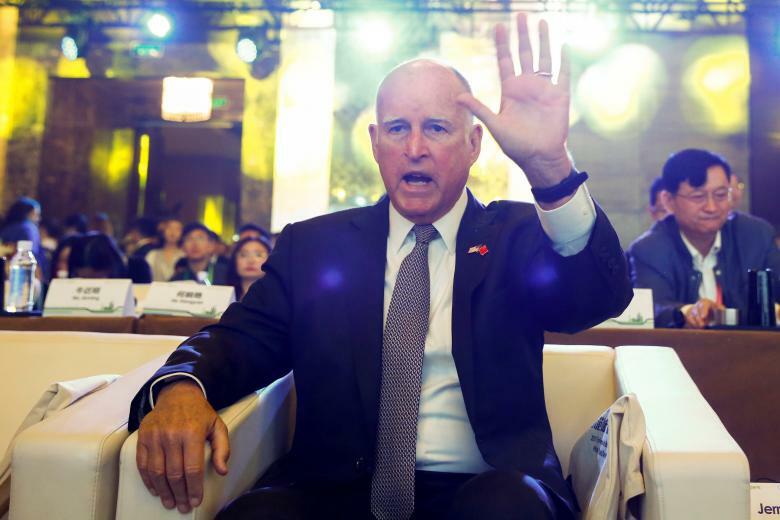 “California and Germany unite the world leaders in the fight against climate change, the existential threat of our time,” Brown said in a statement released by the German ministry. U.S. President Donald Trump’s decision to pull the United States from the landmark 2015 Paris agreement drew anger and condemnation from world leaders and industry.